What are Fire Evacuation Maps? 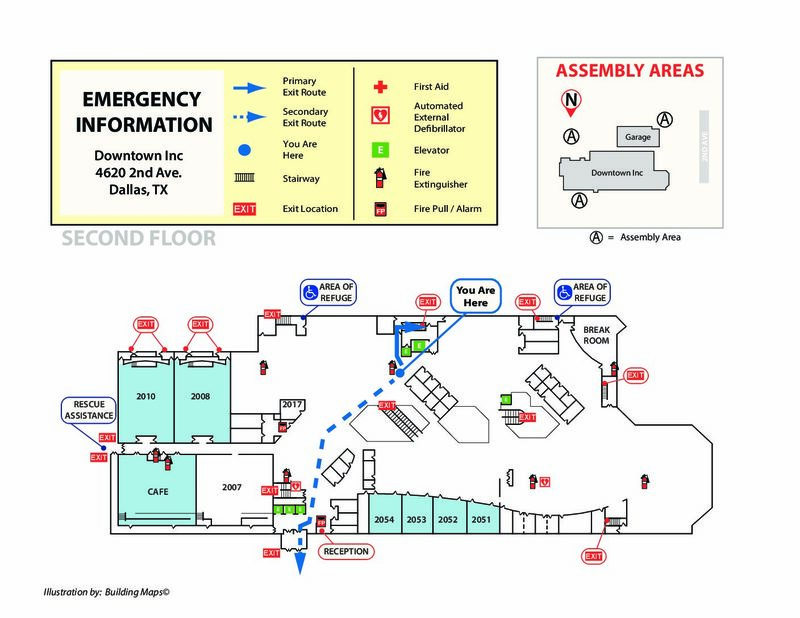 Fire evacuation maps are simplified building schematics that guide viewers away from an imminent threat or hazardous area. Typically, these maps show building features such as rooms, doors, exits, hallways, stairwells and more. In addition, the evacuation maps will show a ‘Your Are Here’ location and safe egress routes. Evacuation maps should be kept simple, because too much information can distract from the main purpose of the map. Remember that the main purpose of an evacuation map is to instruct people how to exit a building in the event of a fire. So generally speaking, ‘less is more’. An evacuation map can also contain some additional information such as storm sheltering areas and the location of safety equipment, when appropriate. 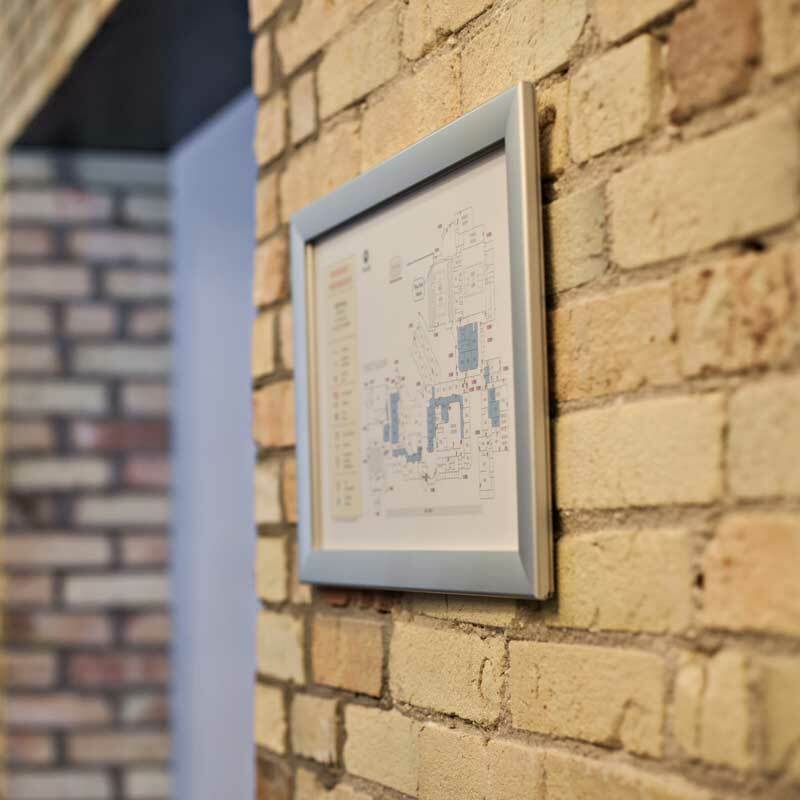 Fire evacuation maps (Fire evacuation signs) are simplified building schematics that guide viewers away from an imminent threat or hazardous area. Typically, these maps show building features such as rooms, doors, exits, hallways, stairwells and more. In addition, the evacuation maps will show a ‘Your Are Here’ location and safe egress routes. Evacuation maps should be kept simple. Too much information can distract from the main purpose of the map. Remember that the main purpose of an evacuation map is to instruct people how to exit a building in the event of a fire. So generally speaking, ‘less is more’. If appropriate, an evacuation map can also contain some additional information such as tornado or storm sheltering areas. Current, compliant fire evacuation maps keep employees, customers, and visitors safe. While, outdated, inaccurate maps are dangerous and a liability to your business or organization. If your evacuation maps are not safe and accurate, now is the time to review and update your evacuation maps. Evacuation maps are also an important training tool. The next time you have a fire drill, use your evacuation maps to confirm that everyone one is following the egress routes shown on the evacuation maps. True fire and life safety is a direct result of planning. Therefore, make sure your maps are up-to-date. A fire evacuation sign should not be complicated. It should provide the safety information in a simple, legible format. In the event of a fire, viewers may be distraught or impaired. Remember, the main goal of a fire evacuation map is to lead the viewer out of the building. Everything else is secondary. 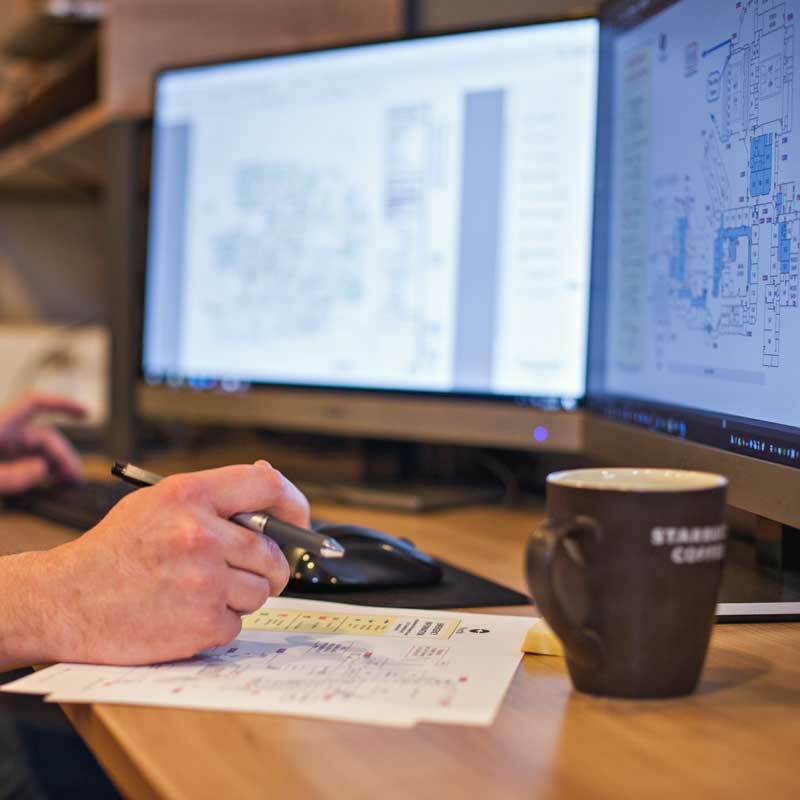 Every evacuation map that we create is specifically designed based on the building layout, building usage, occupancy type, fire codes and industry best practices. In short, it is based on fire and life safety. It’s not just illustration. DOES MY BUILDING NEED A FIRE EVACUATION MAP? Fire evacuation maps are often necessary to meet a code requirement, but there are other reasons to be considered. Even if evacuation maps are not required it may be in the best interest of the business or organization to have evacuation maps for liability reasons. It is generally accepted that a business environment is safe for all employees and visitors; and that a company will be diligent in doing what is necessary to protect employees and visitors from harm. 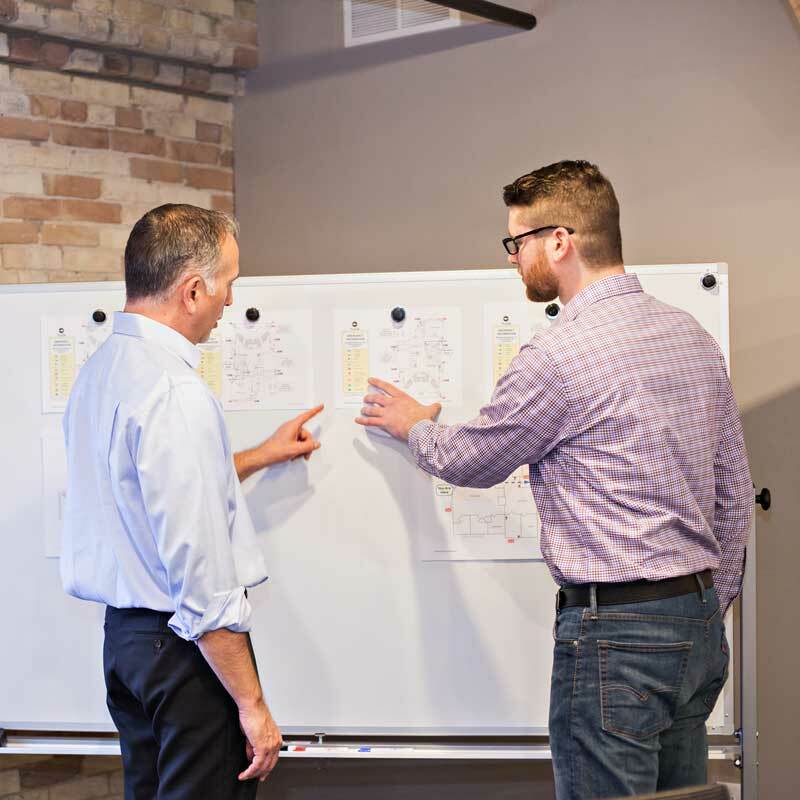 If your business is large and complex, we can help. We created thousands of safe, compliant evacuation maps, to businesses across the U.S., just last year. Our office has the staffing, knowledge, experience and technology to make large projects run smoothly. We will lead you through this complex process and be there for changes and questions in the future. We have the staffing for large, complex projects. Therefore, Building Maps can use multiple project managers and illustrators to work on your project and your project is completed sooner. We have worked on large, complex projects, throughout the U.S. Because of this, we have processes in place for a smooth project. We have the software, project management tools and technology necessary for large projects. Hence, you do not need to purchase and train with expensive software.